INDYCAR CLASSIC media accreditation is now closed. PLEASE NOTE: INDYCAR media hardcard holders do not need to submit an application. Hardcard holders who present their hardcards and identification will be able to pick up one (1) parking permit at the Media Accreditation Center (MAC) in Lot R, located at the Corner of Elroy and Kellam Road at the north entrance to Circuit of The Americas. MOTOGP RED BULL GRAND PRIX OF THE AMERICAS media accreditation is now open and will close on March 24. Please note, only NATIONAL media may apply via COTA's online application system. 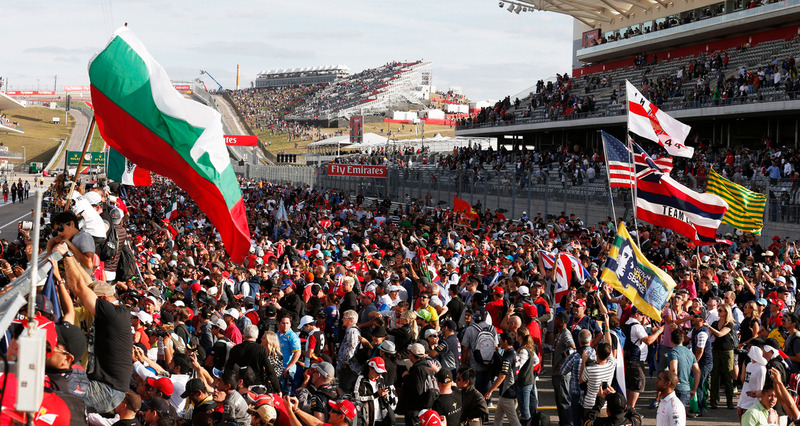 Media interested in covering 2019 events at Circuit of The Americas must submit an online application and must be on assignment for an approved media outlet to be considered for a credential. Please understand that media credentials are restricted to professional journalists and photographers, and will not be granted to marketing or commercial representatives, public relations agencies, sponsors, or freelance journalists or photographers, unless they are on official assignment for approved media outlets. In order to complete the credential application, media must provide a letter of assignment and past samples of work. Media will be notified of approval or denial in advance of the event once confirmation has been received from the event’s governing body. Incomplete applications will not be considered for accreditation. For more information about media accreditation for 2018 events at Circuit of The Americas, please contact the media department at media@thecircuit.com or 512.655.6256. Thank you for your interest in covering events at Circuit of The Americas!